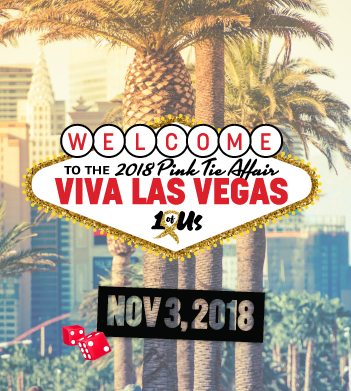 We’re going to take a gamble here but the 7th Annual Pink Tie Affair is going to be the best yet! We’re upping the ante by going old-school casino night style where the celebrity glamour of Vegas meets everyone’s favorite games of chance. Saturday, November 3, 2018 at 6:00 p.m.
Gala guests will be provided with initial chips for the evening that they will use to play the games. Guests may purchase additional chips to keep rolling the dice and continue the fun. Chips will be turned in at the end of play for chances to win fantastic raffle prizes. While players rotate the tables they will also enjoy classic Vegas entertainment, cocktails and a buffet dinner. It wouldn’t be A Pink Tie Affair without the opportunity to win some of our signature Silent Auction packages or our top-of-the-line Live Auction trips and experiences. And the proceeds will assist cancer patients 1 of Us serves with direct, non-medical financial assistance. 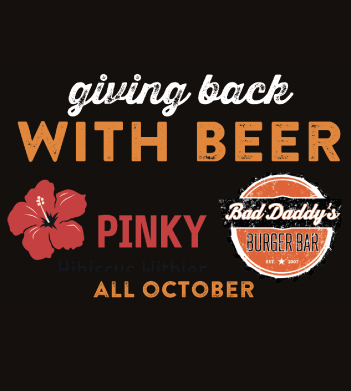 A Pink Tie Affair is the largest fundraiser of the year for 1 of Us. Since its founding in 2010, 1 of Us has assisted more than 1,400 patients with things like gasoline, groceries, housing and utility costs, transportation to and from treatments centers and durable medical equipment. See you November 3, 2018 at the Marriott!